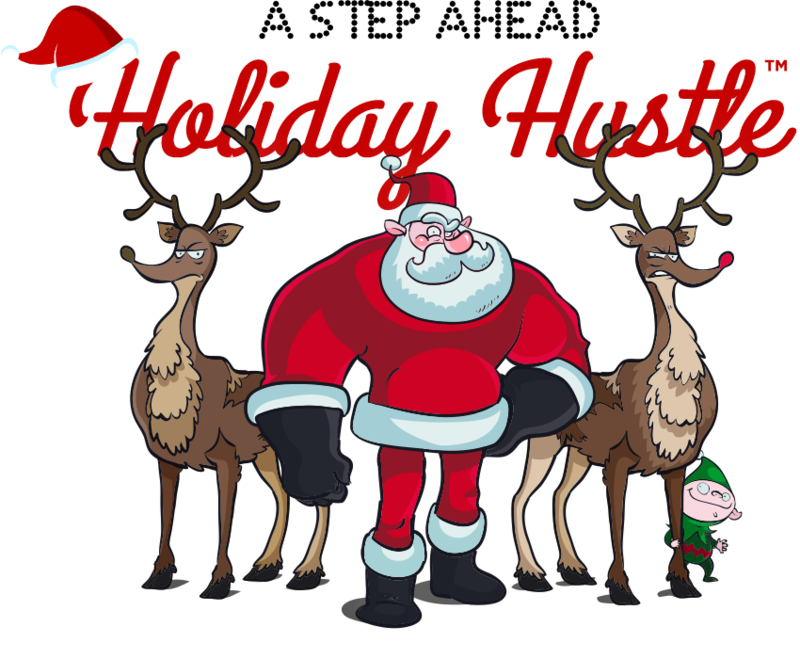 A Step Ahead: Holiday Hustle™ is a seasonal challenge with a limited number of spots available. Reserve your spot early to make sure your company doesn’t get left out in the cold! ‘Tis the season… to step it up! You’ve spotted The Big Guy, but who will believe you without proof? The chase for evidence is on, but Santa’s been hitting the gym and he moves fast! Stave off Holiday weight gain by recruiting a team to compete in this 3-week step challenge with a twist. He’s real… now it’s up to you to prove it. He’s fit, and so is his entourage. Not only is Rudolph real too, but he’s an incredible personal trainer, and he doesn’t allow being on the job to interrupt Santa’s strict training regimen. He’ll call out special activities for Santa in each region, which you’ll earn big step bonuses for matching. It’s just another chilly November night. You’re getting some shopping out of the way early with some friends at the local Slab-Mart (their after-Thanksgiving sales are the best). As you’re loading your cars in the parking lot, you notice something strange out of the corner of your eye. A giant man, big bushy white beard, dressed in all red, loading up a sleigh with an impossible amount of toys. 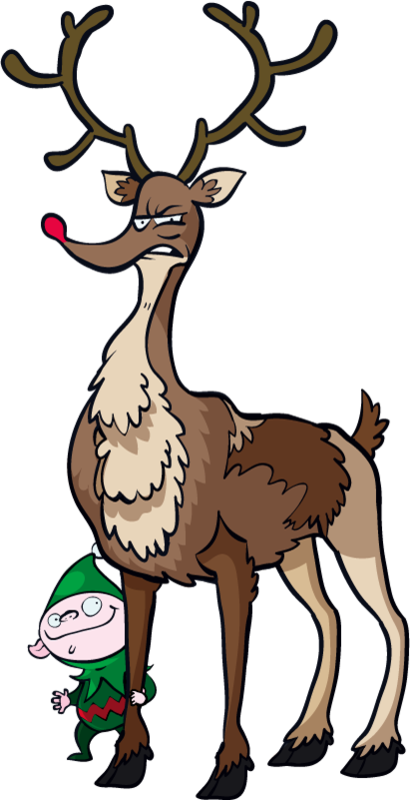 You might have written it off… were it not for the talking reindeer with a glowing nose talking about protein synthesis as it relates to muscle hypertrophy. Who knows what untold fame and wealth await you for being the the ones to prove he’s real, but who’ll ever believe you? Better get proof. As you inch ever closer with your cameras, an elf spots you and the whole entourage takes off. The chase is on! 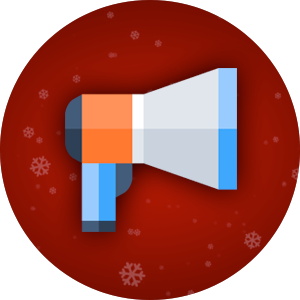 Can your company catch the Big Guy? 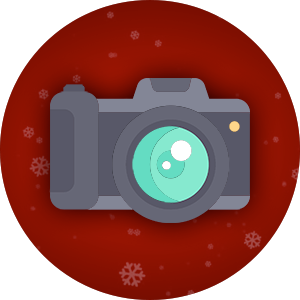 Get in touch to schedule your group’s start date and take the holidays by storm. Times are changing and so are we! The old web-based A Step Ahead is discontinued, now rebuilt bigger, cooler and better than ever as a native iOS and Android app called THE OUTBREAK. Santa and his crew are taking a break while their zombie pals take the spotlight as the first to make it over to the new 2.0 platform. Would you like to view the new hotness?